Semantic web technologies accelerate the delivery of AI applications. Knowledge graphs link and harmonize data, establish interrelationships between entities and put information into context. The quality of data retrieved from a semantic knowledge model is unrivaled and is the perfect foundation of every AI system. 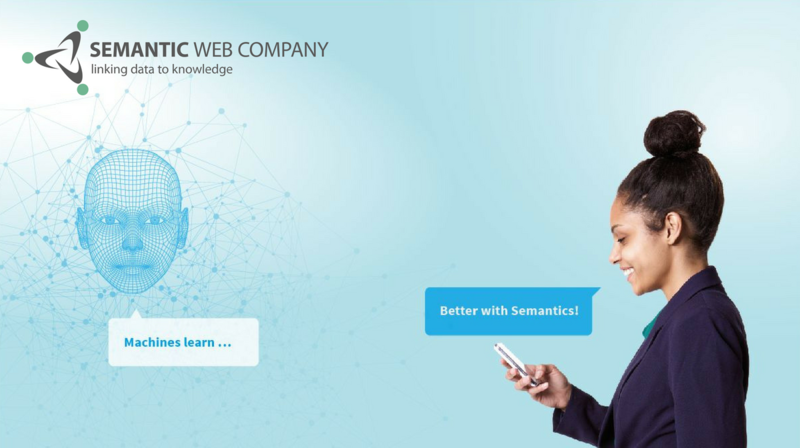 The Semantic Web Company is combining semantic web technologies with machine learning and brings Semantic AI into the open. Learn more about the future of Semantic AI in our webinar, which is part of the virtual “Artificial Intelligence in Business Summit.” You can meet us also at many AI, data science and Big Data events during this year. Take a look at our event calendar and let’s get in touch! Learn how to generate high-quality data by combining semantic web technologies with machine learning. Kirk Borne, the renowned data scientist from Booz Allen Hamilton will explore together with Andreas Blumauer, CEO of the Semantic Web Company, the potential of Semantic AI during this webinar. How does Semantic AI differentiate from AI? How is the Semantic Web related to Semantic AI? Read the opinion column from Andreas Blumauer and learn why data quality is key for smart applications. 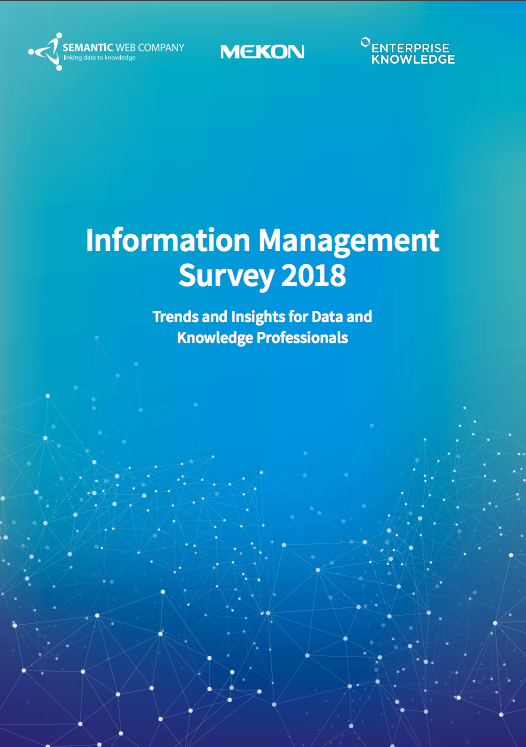 According to the Information Management Survey 2018, companies that employ highly specialized and experienced information professionals are at the forefront of adopting machine learning and document classification solutions. Get this and more insights on the knowledge engineering community in the report. Don’t build your taxonomy project from scratch, profit from available knowledge models. PoolParty users have now publicly available SKOS taxonomies, OWL ontologies and RDF schemas in one place. The annual SEMANTiCS conference is the European hotspot for industry experts and academia in the fields of semantic technologies, machine learning and data science. Industry experts can still submit their talks. Join the discussion on Semantic AI. A lively and inspirational community group is exploring ideas, technologies, methods and tools. At Semantic Web Company we are active at the cross-section of research and business events. We want to share our Semantic AI insights and learn from the community. Copyright Â© 2018 Semantic Web Company, All rights reserved.